As marketers, we chase trends to anticipate results, and while sometimes trends fade, other times they stick around. When trends persist long enough, they begin to ripple outward, affecting secondary market trends, eventually representing a paradigm shift. We call these mega trends, and here are four you can’t ignore in 2019. Short and sweet, 6-second ads really arrived on the scene in 2018, as marketers saw instant value in their utility and cost-effectiveness. Frequently referred to as “bumper ads,” 6-second video ads are both unskippable and provide little direct information. Perhaps this seems consumer-antagonistic, but what if the ads are fun to watch and effective as part of your integrated inbound funnel? Well, I'm so glad you asked. Perfect for introducing a brand or campaign or for transitioning between sequential campaigns, bumper ads want to catch your attention just in time for you to notice you watched an ad. Right as you smirk, seeing yourself in the dancing man, the ad concludes and you unknowingly digest a positive brand affinity for EnergyFunders. Six seconds of runway time forces an extreme distillation of fluffy messaging, leaving in some ways a more honest advertisement. As over-the-top (OTT) video-streaming solutions become more popular at the expense of cable packages, bumper ads will progressively find a bigger home on connected TVs, where they will deconstruct traditional 30-second ad spots on TV. Digital marketers are already gaining early access to TV network targeting, through widely-used platforms like Google (YouTube) and Facebook. As marketers gain more access to TV-based ad networks in 2019, 6-second video ads will increasingly become a staple of comprehensive inbound campaigns. This trend needs no introduction. Large-scale privacy breaches in politics and business are frequent to the point of desensitization, as if getting hacked is now another life challenge we simply have to deal with. Of course, this is a lousy attitude, and one that has no place in modern marketing. In 2019, marketing agencies are the chief stewards of small-business websites, so user-privacy protections and website security hold serious weight. TL;DR – This is a really serious problem. In an ironic twist to make things worse, more small businesses are expanding their online presence, taking advantage of countless content management systems to build simple websites quickly with contact forms for data collection. While empowering for entrepreneurs and great for low-cost lead generation, these websites have become low-hanging fruit for cybercriminals. This Problem Will Only Grow Until Businesses Treat Cybersecurity as Non-negotiable. WordPress already powers nearly one third of all websites – an astounding metric, especially in the context of cybersecurity, as more than 84% of WordPress websites are running on outdated versions of PHP. Outdated versions of PHP no longer receive security updates, leading to an increasing number of vulnerabilities and issues with plugin support (Source). Fortunately, there are many robust solutions to securing your WordPress website and user data, including countless third-party plugins, along with the official WordPress-developed plugin, Jetpack. Business owners can protect their brand reputations from breaches, but it will take a combination of the right tools and being proactive about data management best practices. Mostly, however, businesses need to start treating cybersecurity as a non-negotiable item. Small-business owners need to be mindful and proactive with enacting cybersecurity protections, and they shouldn’t need a third-party security partner separate from their marketing agency. When a business trusts an agency with its website, it entrusts that firm with its brand reputation. Few things can more quickly subvert established brand integrity than data breaches, so marketing agencies hold an increasing duty to adopt cybersecurity as a core service offering. Ad fraud refers to invalid website traffic that artificially represents ad impressions, clicks and conversions, causing skewed performance metrics for marketers while costing businesses billions. In fact, the Interactive Advertising Bureau (IAB) has previously estimated that over $1 is lost to ad fraud for every $3 spent on ads (source). When scaled to an entire industry, this fraud represents what could exceed $50 billion in misdirected ad spend before 2025. Here's a quick comparison of ad fraud's scale in 2018 vs. the expected scale of ad fraud in 2022. In general, ad fraud is propagated by bots, which are frequently cited as comprising around 40% of all ad impressions. There are obvious ramifications for advertisers, such as unwittingly optimizing and reporting on inflated metrics. For online consumers, the associated risks of ad fraud can be more direct. When a visitor arrives on websites hosting a fake ad network, they see typical-seeming ad placements. When the visitor clicks on the fake ad, malignant URL redirects can trigger a myriad of problems – from auto-installation of ransomware to data theft. In many cases, this redirected traffic provides the creators of fake ad networks arbitrage power for buying cheap traffic and then flipping it at extravagant premiums. This practice can often represent upward of a 30-fold return on investment for bad actors, hence the growing popularity of ad fraud among criminals. Google and other advertising regulatory groups are amping up their defenses from ad fraud, with several high-profile busts in the last few months. Other companies are beginning to leverage next-generation tech to ensure ad network integrity, with blockchain representing a major component of new ad fraud defenses. I would strongly encourage all marketers to become familiar with blockchain-based programmatic ad platforms, at least to better understand the value proposition they offer. Among blockchain-based ad platforms, Basic Attention Token (BAT) and AdBank represent strong options. AdBank provides a lightweight solution for reaching consumers on blockchain or crypto-related websites. It controls ad placement on their in-house ad network, Intergalactic Ads, allowing use of blockchain for verification of ad metrics. While Intergalactic Ads offers a solution for blockchain marketers, it remains a largely conceptual platform for advertisers in other sectors. A large-scale solution launched by the co-founder of Mozilla and Firefox, BAT offers an entire new advertising ecosystem rooted in their newly launched browser, Brave. All internet-users are ultimately stakeholders in the scheme of global ad fraud, so you can expect to see serious counter-efforts gain momentum in 2019. In 2018, personalized content is the key to not only attracting your customer but building a relationship with them. There is a growing selection of tools, such as personalized web content that is triggered if a visitor meets certain criteria, that can help you understand what your customer needs and message to them specifically. 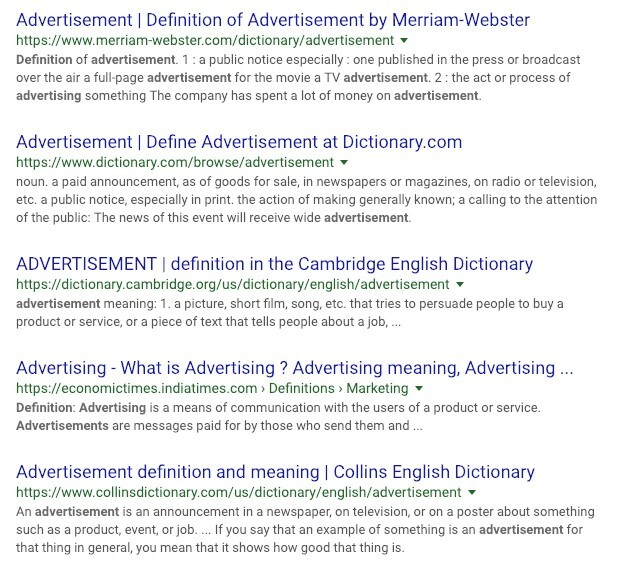 While most of these definitions posit a public announcement to promote something, a core aspect divides these – whether or not the ad is paid for. If this seems subtle or implied, consider the ramifications of not clearly understanding whether or not content you read is authentic or a paid promotion. As marketers, we’re predisposed to view sponsored content naturally through the lense of advertising. Consumers, on the other hand, have less exposure to the subtleties, leading to a surprising degree of confusion. Sponsored content – also referred to as “native advertising” – represents a form of paid advertising where content is presented as authentic, often obscuring the perception of readers that the content is a paid promotion. 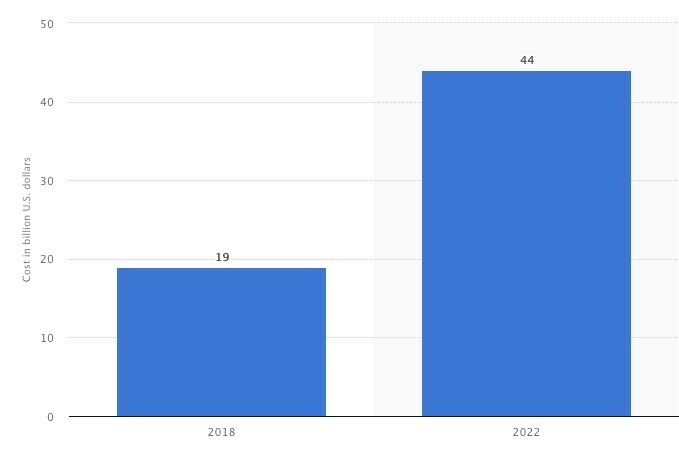 This is big business, with Forbes estimating that by 2021 native ads will grow into a $21 billion industry, accounting for a substantial majority of ad revenues at that point. Frankly, this makes sense as marketers continue to benefit from native advertising, gaining a more effective and genuinely less intrusive route to delivering paid promotions. Can People Tell the Difference Between Sponsored and Authentic Content? Unfortunately, according to a recent study from the University of Georgia, fewer than 1 in 10 people can correctly identify sponsored content from an article. This is a generally astounding result, and I’d encourage anyone in marketing to read over the study and its takeaways on sponsored content, which you can find here. When informed that the content they read was in fact a paid advertisement, users felt tricked and tended to develop negative brand affinity. Conversely, participants were more likely to read the content with positive brand affinity when they knew upfront the content was sponsored. The 90+% of people who failed to correctly identify the content as an ad were more likely to view the purpose of news as primarily for entertainment. With contemporary media facing constant allegations of “fake news,” this tendency of people to view content as firstly for entertainment is a striking insight. At the end of the day, native advertising should provide a more authentic means of marketing brand-aligned content with a relevant audience. Sponsored content replaces the mouthpiece for brand messaging, lending authenticity in the process (if well-managed!). This works in the same way word-of-mouth carries weight over cold calls, which is one reason we continue to see growth in adoption of influencer marketing. Brands and the marketing agencies that promote them need to be responsible in their promotions and avoid any deceptive placement or tactics. While fake news won’t go away soon, trust in advertisers will if we don’t double-down on responsible best practices. Keep an eye out for updates to this blog post, and subsequent in-depth looks at all of these notable mentions. If you're interested in new solutions to help you develop an inbound marketing strategy or to improve your current marketing efforts, contact HexaGroup today.